The most anticipated ILEA NSC event of the year is the 2nd annual ILEA-NSC Gala. This year the gala will be an extraordinary affair, one not to be missed! The Culinary Institute of America at Greystone will be transformed into a magical experience where our guests will be transported into an experiential event full of spring colors, amazing entertainment, and unforgettable food. The Gala includes a silent auction, interactive photo booth, and so much more! 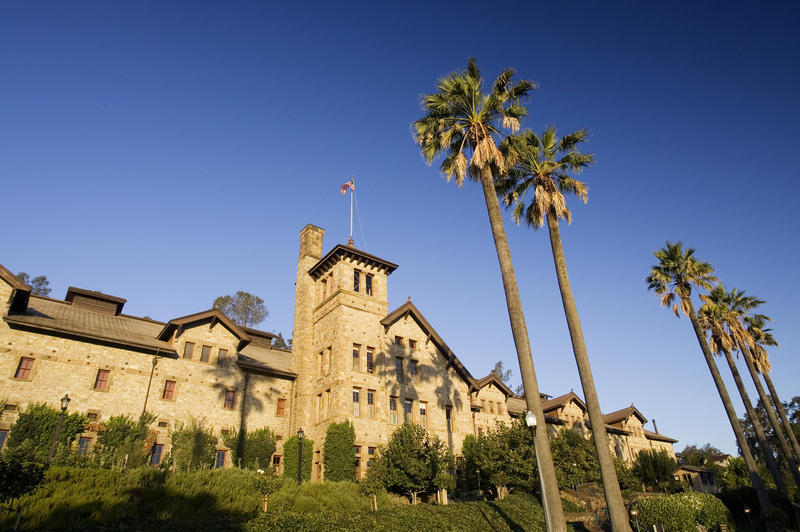 Located in the heart of Napa Valley wine country, The Culinary Institute of America (CIA) at Greystone is the California campus of the premier culinary college in the world. In addition to training the industry’s top culinary and beverage professionals, the college also offers public food and wine classes, the outstanding Gatehouse Restaurant, The Bakery Café by illy, and the Spice Islands Marketplace. Listed on the National Register of Historic Places, the CIA at Greystone’s Romanesque architecture, vineyard views, exceptional CIA-quality cuisine, and unmatched hospitality make it a memorable setting for private events of all sizes. Him: A tuxedo or formal dark suit and tie. Her: A long evening dress, dressy suit or formal cocktail-length dress. Parking is available onsite but may be limited. Carpooling, group transportation or using a rideshare service is highly encouraged. Interested in Becoming A Gala Sponsor too? Inquire with Pilar Mustafa - send a note to info@ileanapsonoma.com and check out our Gala Sponsorship page! Also seeking SILENT AUCTION Sponsorships! OFFER: 15% off best available rate. Deadline to receive preferred rate is 4/1. Cancellations & Refunds: Please note that if you cancel by April 2, a full refund will be returned. However, there will be no refunds issued for cancellations after April 2. Ticket Transfer Requests must be submitted no later than April 6. Email your request to info@ileanapasonoma.com Thank you.